More than just a technique video, this DVD explores an entire high jump program. 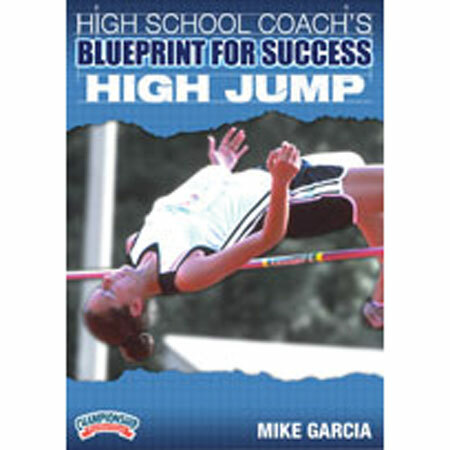 Mike Garcia begins with a classroom overview of coaching the high jump and how to look for athletes who possess the attributes needed to successfully high jump. •The Habit Phase - This early season phase focuses on conditioning and establishing consistent approaches by forming good habits. Consistent approaches lead to consistent heights! •Mid-Season Phase - A 3-4 week phase characterized by "developmental meets" and hard training. •Championship Phase - This focuses on fine tuning for regional and state championship competition. A day-by-day sample plan for a typical week in each phase is provided. Garcia also shares his in-season and off-season strength training protocol for his high jumpers. Garcia discusses how he constructs his practices. He details strategies for general warm-up, high jump specific technique and training, as well as the importance of the end of practice time where excellent coach-athlete communication opportunities exist. 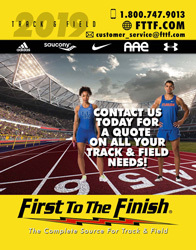 Included in this segment are strategies to most effectively accommodate both novice jumpers and elite jumpers at the same time. Garcia provides a step-by-step overview of how he teaches the event, identifies common mistakes that rob your athletes of success, and discusses strategies for jumping order and passing. In the drill segment, Garcia delivers curve drills, basketball drills, wall drill, circle drill, pit drill, 3 and 4 step drills and approach drills. He then breaks down several full jumps narrating each jump and sharing invaluable coaching points on each jump. He follows with a hurdle drill that he utilizes at practice and at meets that are especially good to execute between jumps. Garcia concludes his presentation by sharing his "best practice" strategies for successful meet days. Indicates that item is available through Championship.